Sometime around 2002, I was part of a group of journalists that General Motors allowed into a “war room” dedicated to environmental issues. A pie chart on the wall caught my eye; it showed the profit generated by GM’s vehicle platforms. What was striking was that the full-size truck platform accounted for roughly half of total profits. At the time, I was new on the GM beat. That chart gave me an instant education. Flashy performance cars at big auto shows impress onlookers. So do proclamations about the imminence of autonomous vehicles. But trucks are where the profits are. With that in mind, keep an eye on two clashes set to play out in the truck market. The first is the continuing split over use of aluminum in pickups. Ford took a bold step in 2014 when it switched the body of its F-150 to aluminum from steel. Ford executed this incredibly involved design-and-manufacturing challenge without losing sales leadership. So expect more ads belittling aluminum trucks. 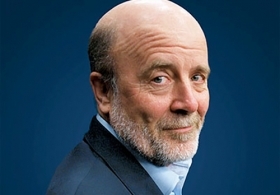 But remember, the attacks haven’t dented Ford’s sales leadership. 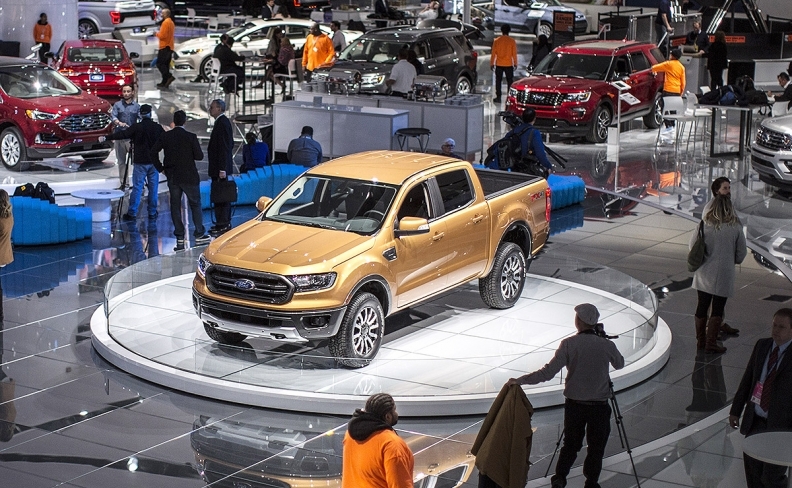 Ford is retooling a plant in Michigan to build the Ranger. The second skirmish will begin when Ford puts the Ranger midsize pickup into showrooms early in 2019. Currently, GM is the only Detroit company in the segment with the GMC Canyon and Chevy Colorado. The Toyota Tacoma, Nissan Frontier and Honda Ridgeline also are available, but it’s likely that Ford’s main target will be the GM duo. The Jeep Wrangler-based pickup due in 2019 will be a high-end “lifestyle” truck, FCA CEO Sergio Marchionne has said. Interestingly, Fiat Chrysler is still on the fence about bringing back a more workmanlike Ram midsize pickup. That might be because slotting a smaller pickup into a lineup below a full-size truck is tricky. If automakers equip the smaller vehicle with weight-saving materials and fuel-economy technology, that might also push the price too close to that of a base-level big truck. Some buyers will just take the big truck. But if pricey fuel-economy features are omitted, the smaller truck’s savings at the pump might be lessened or negated altogether, and fuel economy is a selling point for fleet buyers. And if an automaker gets both things right, and if the key specs (towing, payload) are good enough, that still could cannibalize sales of its big truck. But the automakers that navigate those potholes successfully get the reward: More of those sweet truck profits.